Payroll reports are done by selecting two dates, the start date and cut off date. 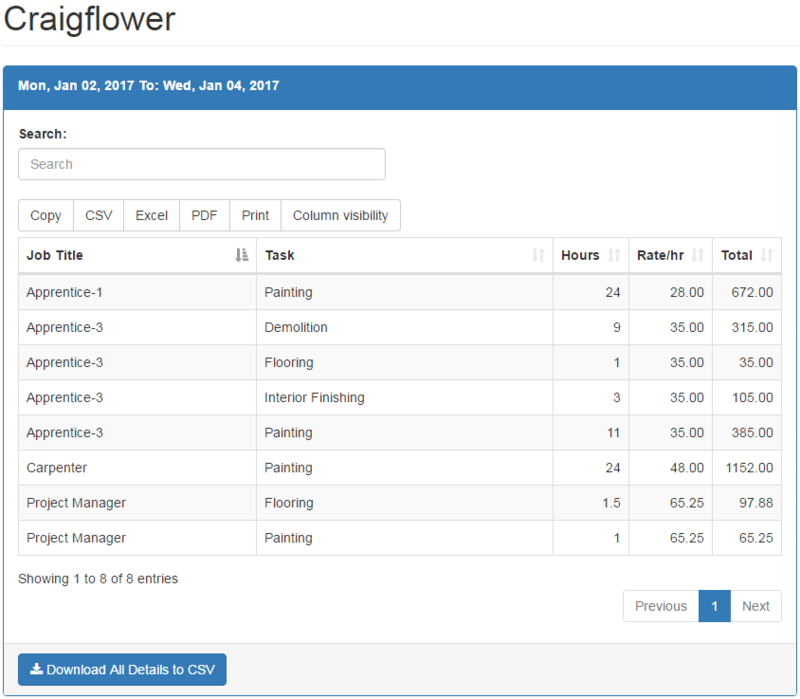 The report will bring up all users that have worked during this period and the table will display the hours worked for each user. You can export this report into a CSV file in many ways. First, you can export the information as it is seen in the report. Second, you can export the data by individual time sheet entry detail. This allows you to see every time sheet detail that was entered by all the employees during that time period. You can also export each individual’s entries into their own export file. The option to view a printer friendly version is available as well. Billing reports are very similar to payroll reports except they are initially displayed by Job Title and Task. All of this data can be exported into xls, csv, pdf, printed, or copied.